It’s been a while since I’ve been able to share a guest pattern with you, but it’s been worth the wait! 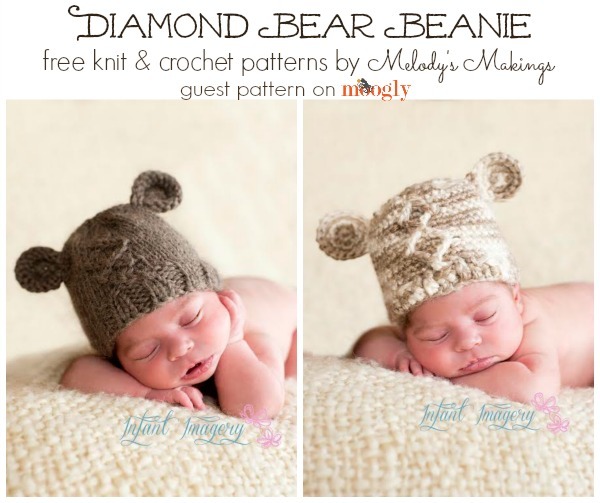 Today I’m super excited to have Melody Rogers from Melody’s Makings here to share her patterns for the Diamond Bear Beanies. 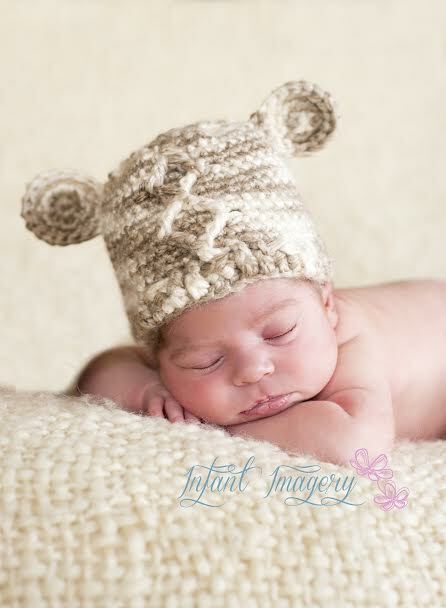 That’s right, beanieS – because she’s got both crochet AND knit patterns for these super cute baby hats! Aren’t they the cutest!? 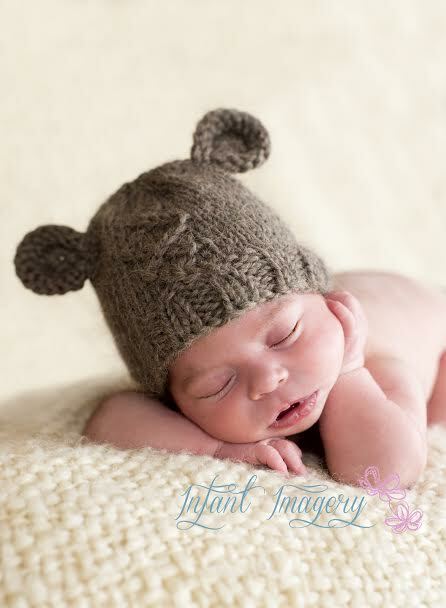 Both the knit and crochet Diamond Bear Beanie patterns come in 5 sizes: Newborn, 0-3 months, 3-6 months, 6-12 months, and 1-3 years. 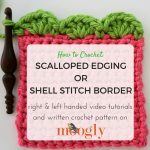 And there’s a video tutorial for the special stitches in each as well! Wow! Now, let’s hear from Melody! An adorable baby dressed as a teddy bear!? Yes please! For years, people have loved dressing up their little ones as cute little bears….there’s just something about the meeting of teddy bear and baby that is simply delightful! In celebration of this awesome tradition, I’ve created a new twist on an old look and written up the Diamond Bear Beanie Knit and Crochet Patterns. I’m a big fan of designing both a knit and a crochet version of my favorite patterns so nobody gets left out! I hope you love, love, love the design and have a fun time working up one of these cute hats. 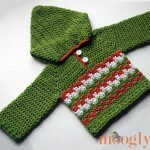 Melody has been super sweet to work with, and while both patterns are here on Moogly, I want to make sure you went to check out Melody’s Makings as well. Her patterns are incredibly cute, and you get TWO FREE PATTERNS just for signing up for her newsletter! I am a mother, crafter, small business owner, and lover of flowy skirts (though I rarely get the chance to actually wear one). I pride myself on designing awesome knit and crochet patterns, and I hope you love them too! Please drop by, say hello, and check out more of my work now. Written pattern and photos copyright Melody Rogers 2014, used here with permission. 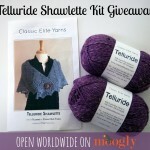 Classic Elite Yarns Telluride Shawl Kit Giveaway on Moogly! Thanks so much for the patterns. While I only crochet I’m delighted to have your pattern now in my que on Ravelry. I tried to make the 0-3 month size as directed in the pattern, but the diamond pattern leans left, It seems to do so on the two photos others posted on ravelry as well. Any suggestions? I’m going to pull out some rows and try to start the FPTC’s farther right. I haven’t made it myself, you might want to check with Melody, the designer! Melody has fantastic patterns! I have a lot of them. Definitely sign up for her newsletter & then try her Create-a-Longs. 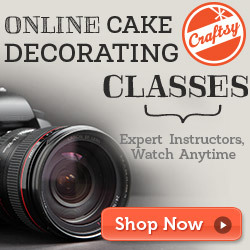 They are great for beginners & experienced knitters & crocheters alike. Thank you, Tamara, for working with her to expand our exposure to new yarn artists. 😀 Thank you Linnea, I’m so glad you like it!